The Day was established at the initiative of the International Fund for Animal Welfare – IFAW. 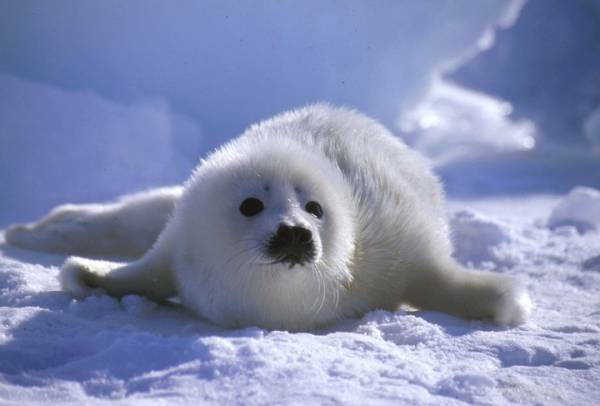 Harp seal pups have been the subject of hunting for many decades. Several years ago they were legally sold in Europe, Russia, China and many other countries. Harp seals inhabit the North Atlantic, the White, Barents, Kara and Greenland Seas. For about two weeks after birth, while the female feeds her child with milk, pup fur is white. That is why every year dozens of thousands of pups die, moreover their murder is quite cruel: they are slaughtered with iron sticks. By the late 20th century, commercial hunting of harp seal pups has put this animal species to the edge of extinction. IFAW has attracted wide public attention to these problems. Every year worldwide are organized demonstrations and pickets, supported by thousands of people. Through this activity, the authorities in many countries have been forced to adopt economic measures that made hunting pups unprofitable. Since 1986, the import and sale of pups fur in the United States, Mexico and Europe in general was completely banned. Unfortunately, today pups hunt continues – this murder is not prohibited in Canada, Namibia and Norway. In August 2010, the EU imposed a ban on trade in all kinds of seal products.